Lena Herzog hired me to develop a series of animated maps and other visualizations to accompany a multi-media installation that sonically and visually celebrates and mourns disappearing languages from around the world. It features sonic compositions by academy award winning sound designers Marc Mangini and Marco Capablo and will premiere as part of the Bloomsbury Festival at the British Museum Oct. 21-23, 2016, before setting off on an international museum tour. 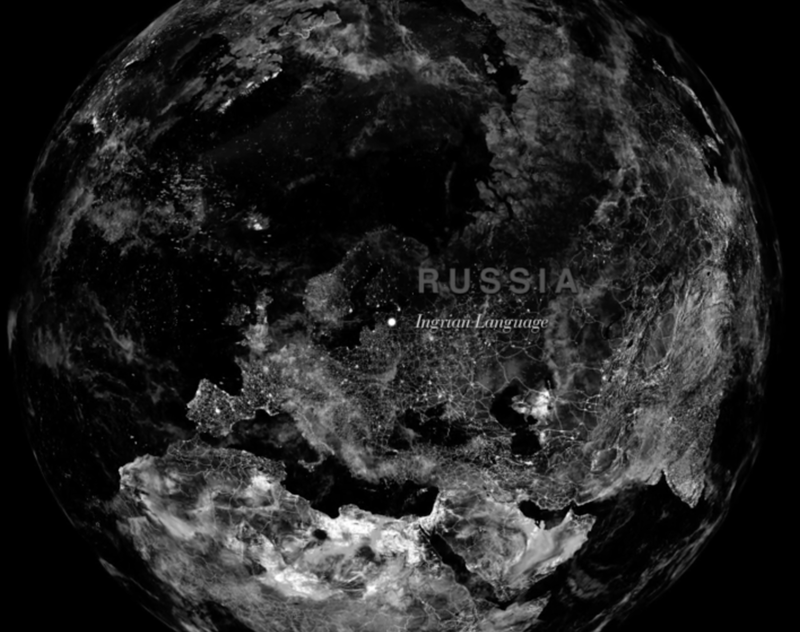 Photographer Lena Herzog hired me to develop a series of animated maps and other visualizations to accompany a multi-media installation that sonically and visually celebrates and mourns disappearing languages from around the world. It features sonic compositions by academy award winning sound designers Mark Mangini and Marco Capablo and will premiere as part of the Bloomsbury Festival at the British Museum Oct. 21-23, 2016, before setting off on an international museum tour.